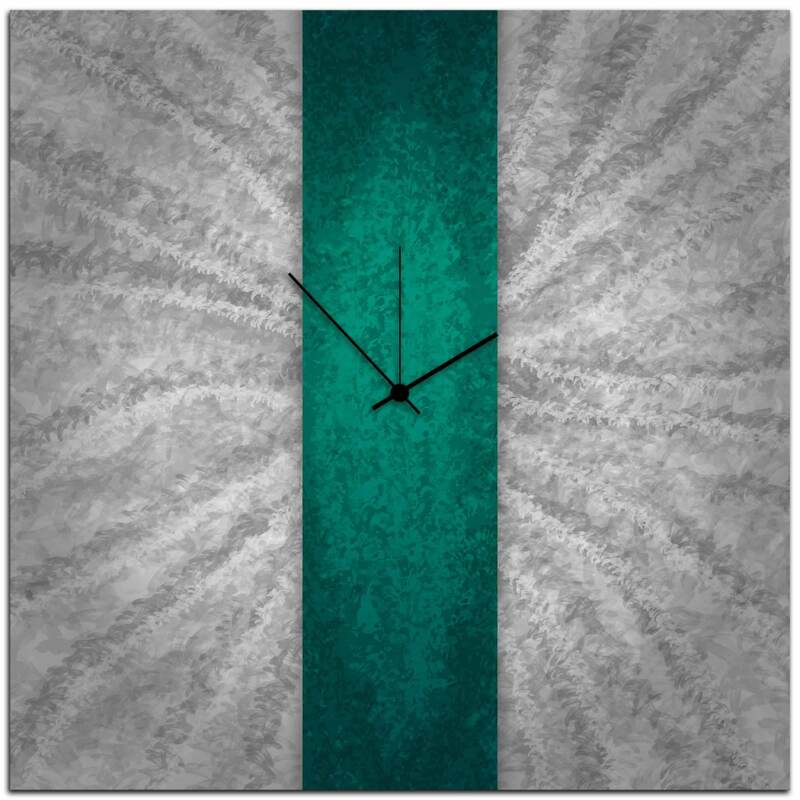 The Teal Stripe Clock combines utility and design, with a fully functional artistic wall clock made from a strong metal body with a satin matte finish. The grey background features a subtle starburst pattern, and is colored with a vibrant teal accent stripe down the center. 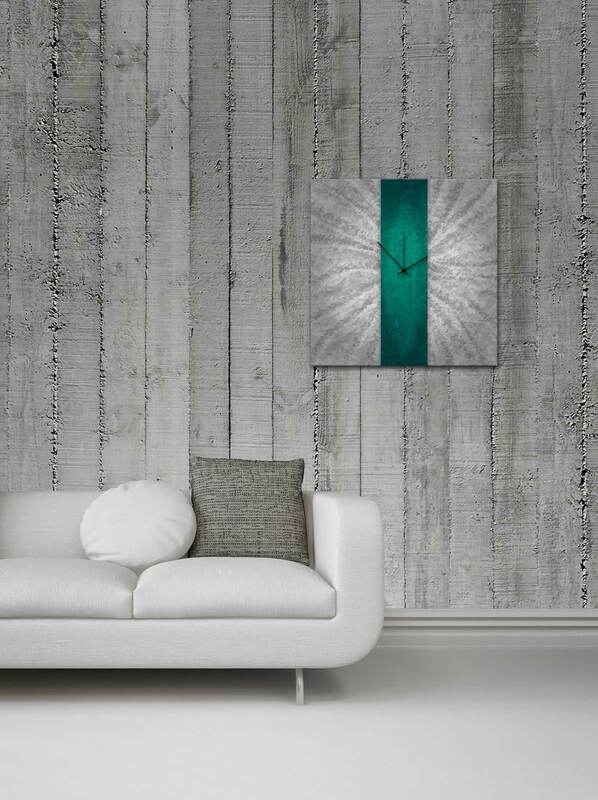 The result is a very sleek, contemporary time piece that adds a welcomed (but unimposing) splash of color in any urban or modern space. Great as a standalone abstract accent piece, or as complimentary wall Decor in a home or office/professional setting. We also make this in several other colors (including red, orange, violet, blue, green and black) and can certainly customize upon request.